This weekend I took up to Chicago to visit my best friend, Natalie. She lives in Oak Park, a suburb full of things see and do. My trip was filled with yummy food, thrift shops, and, as always, wonderful company. 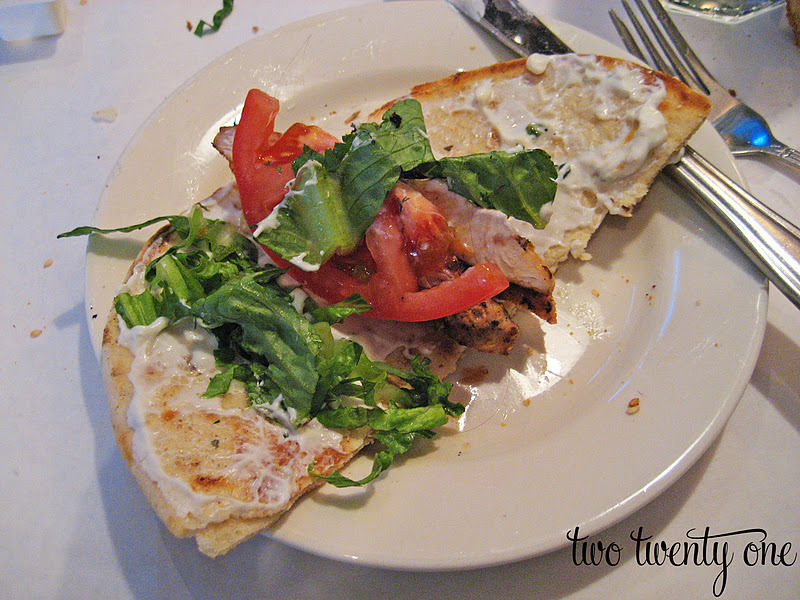 When I arrived on Friday we decided to grab some lunch at Papaspiros, a great Greek restaurant. 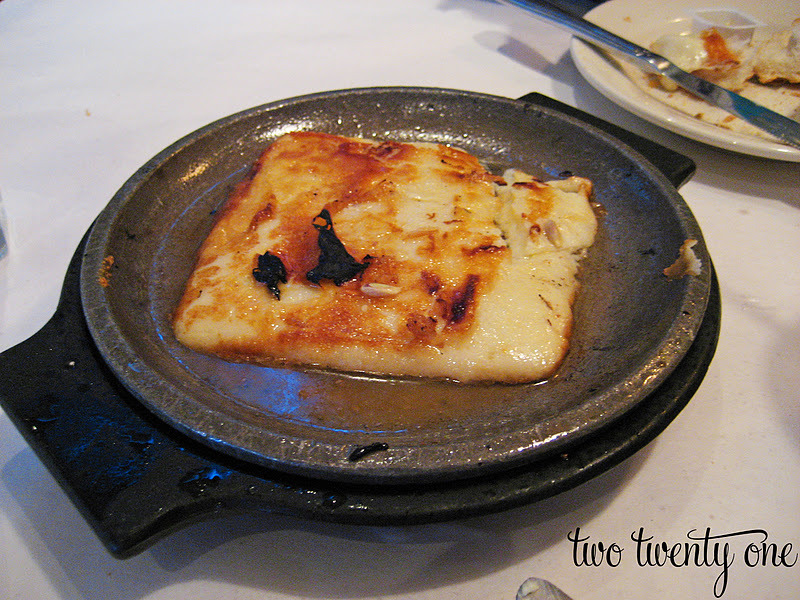 We had lemon chicken soup, saganaki, and chicken souvlaki. OPA! After filling our bellies with all of that yummy Greek food, we headed to Divine Consign, a local consignment shop. They have tons of great furniture for reasonable prices. 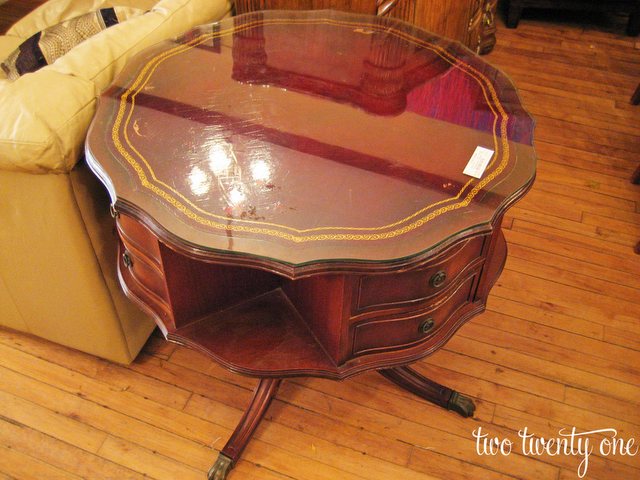 I loved this quatrefoil end table. After leaving the store we started to take a driving tour of some of the magnificent homes in Oak Park. 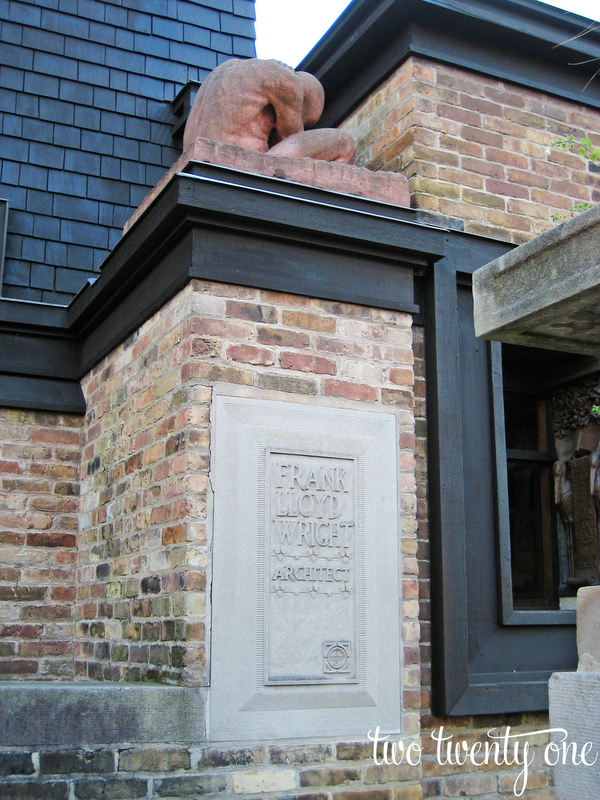 We self-toured the exterior of the home and studio before taking an impromptu tour of Forest Avenue. 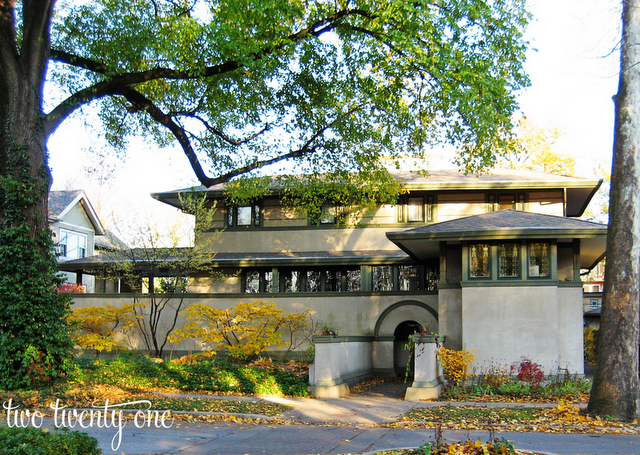 Frank Lloyd Wright designed a handful of homes on this street. 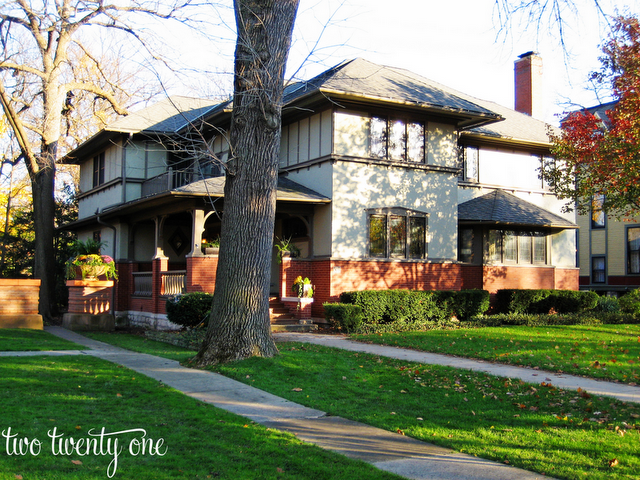 All of the homes on Forest Ave. are absolutely beautiful. I wonder what the homeowners think of all the people touring their street and taking photos of their homes. I would definitely feel pressured to have an immaculate lawn. But then again, if I could afford one of these homes I could definitely afford a lawn care service. Phew, immaculate lawn stress averted. 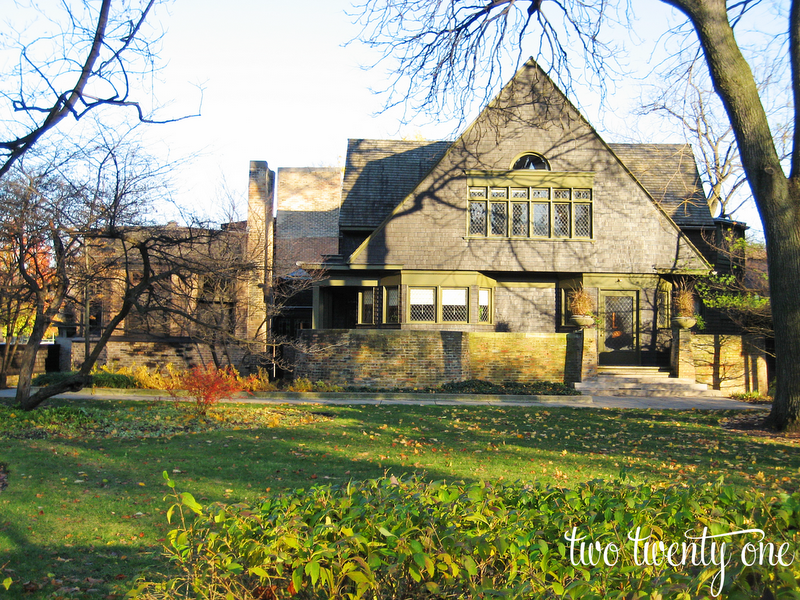 Here are some of the homes that Wright designed on Forest Ave.
We thought this home was being used as a museum of sorts until we saw someone watching a tennis match on TV inside. Here are a couple of other gorgeous non-Wright homes on the street. This is when my camera died. And, of course, I didn’t bring my battery charger. Fail. 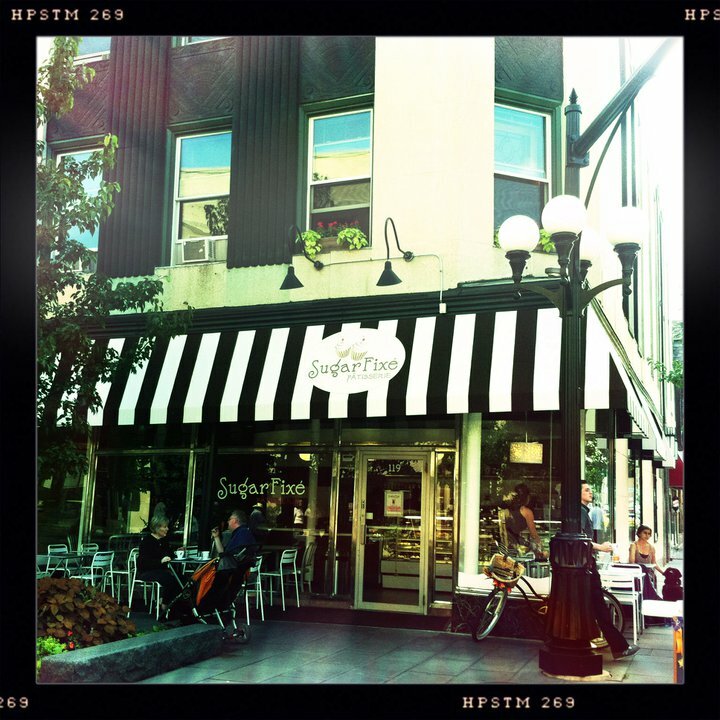 After our home tour we stopped in Sugar Fixé for some treats to eat later on. Natalie got their caramel apple bread pudding, which was delicious. (And I don’t really care for bread pudding. I think it’s mostly due to the name.) She was nice enough to share some with me. 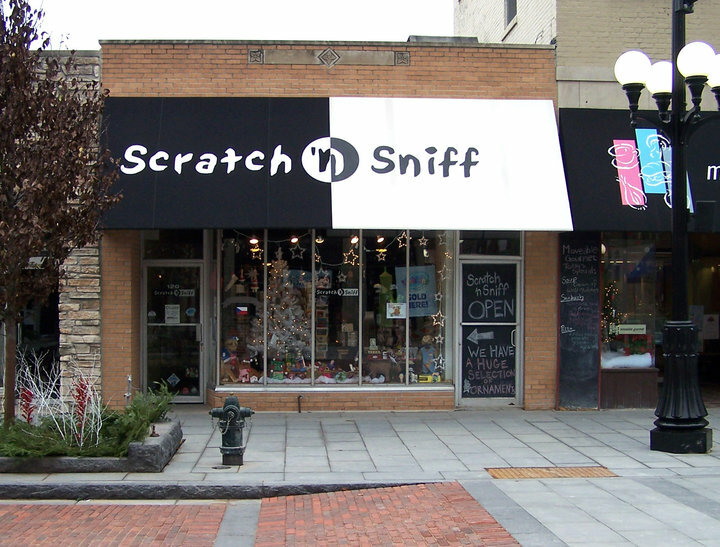 With our pastries in hand, we headed across the street to one of my favorite pet stores, Scratch ‘n Sniff. Jack misses me when I’m gone, so I always bring him back forgive-me-for-not-taking-you-with-me treats. I bought him some super cute football and turkey treats this time. 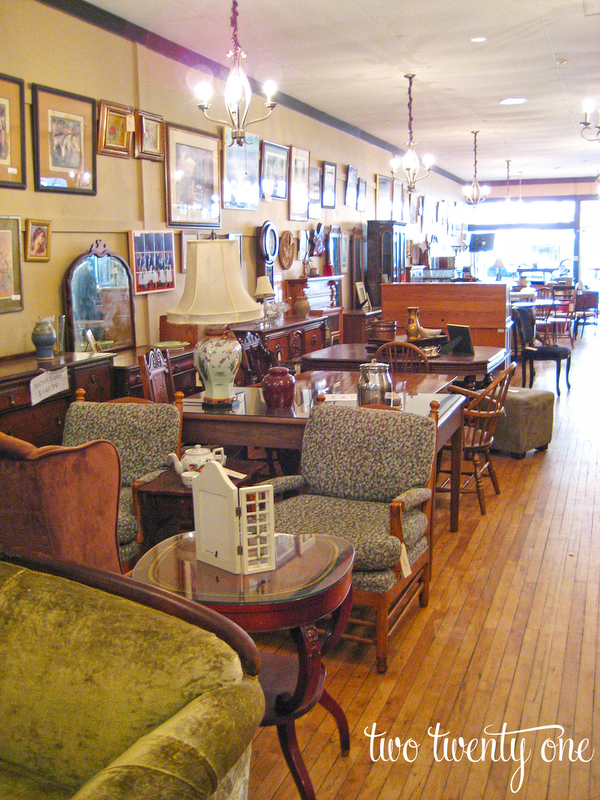 Here is a list of the other consignment shops and thrift stores that we visited in Oak Park. On Saturday we headed to Natalie’s hometown and hit up some thrift shops with her mom and aunts. Here’s a list of the shops that we visited in Northwest Indiana. 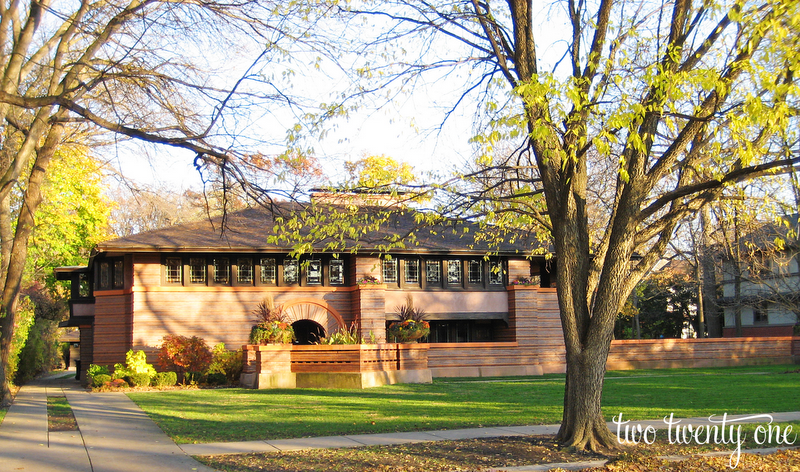 Have you been to Oak Park? If you haven’t, you should. 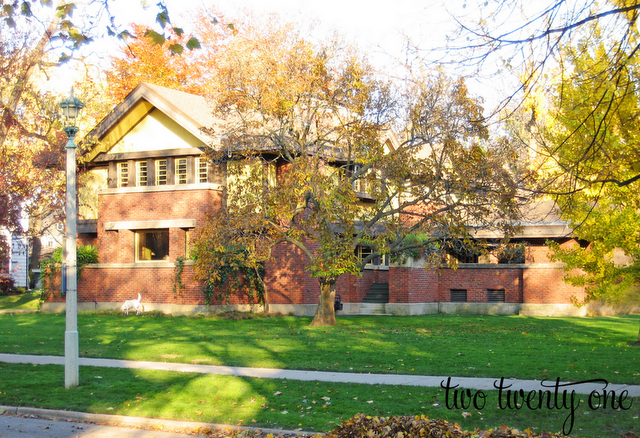 I’ll meet you there, and we’ll go pretty house stalking together. What a great trip! Those homes are absolutely beautiful. 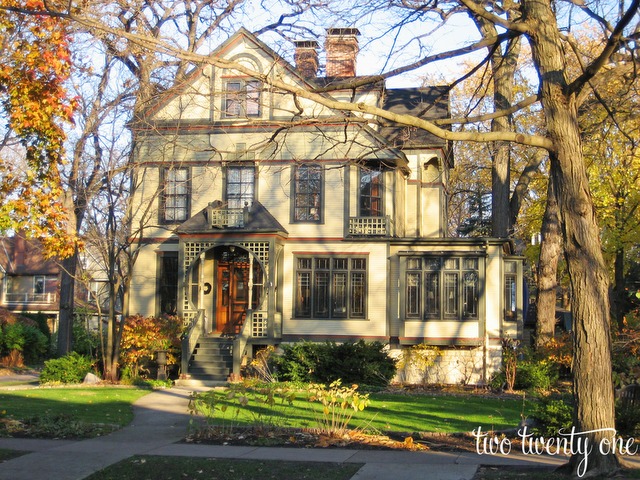 I love looking at amazing homes. Thrifting, good food & touring. Sounds perfect to me. My weekend was relaxing. Yes, I have been to Oak Park I actually work close by so I’m there often, I love their shops. However, I have yet to take the pretty house walking/drive tour. Oh, and you went to my fav Greek restaurant! Next time you are in the city tell your friend to take you to the White Elephant I love that place. Your purchase helps the Children’s Memorial Hospital so its a win win in my book. 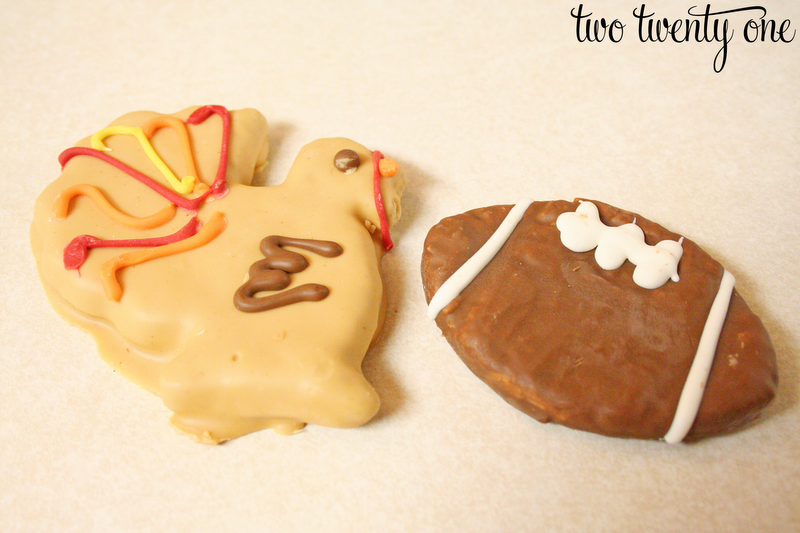 That turkey cookie is super cute! This was my first time on your blog. LOVE me some Oreo truffles! Great pictures. Thank you so much for sharing this amazing trip with us. I am truly thankful to the holder of this website who has shared this impressive piece of writing at at this time. I love going to Oak Park. So many great shops and original homes! 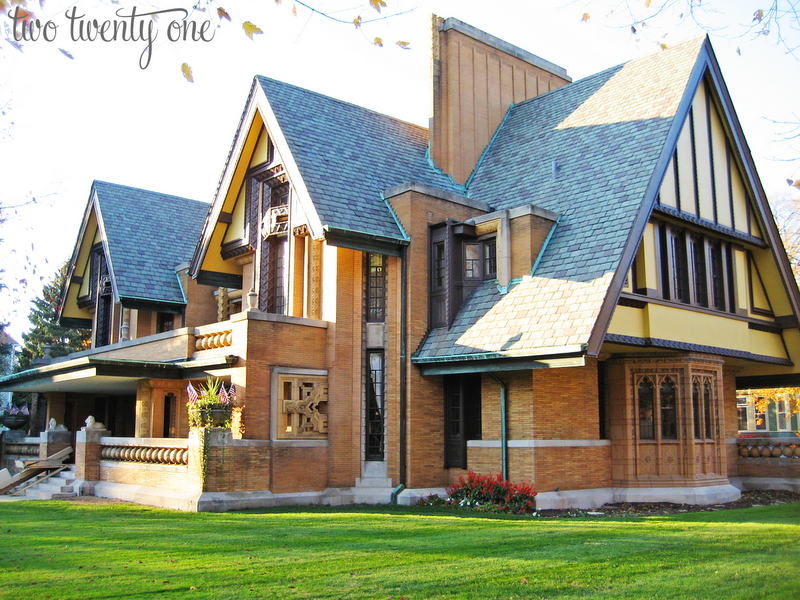 Unfortunately, there are too many cookie cutter homes and I live in one of them 🙁 I’m from NWI and I will definitely check out the Hammond Salvage and Resale! Oh how I love resale shops!